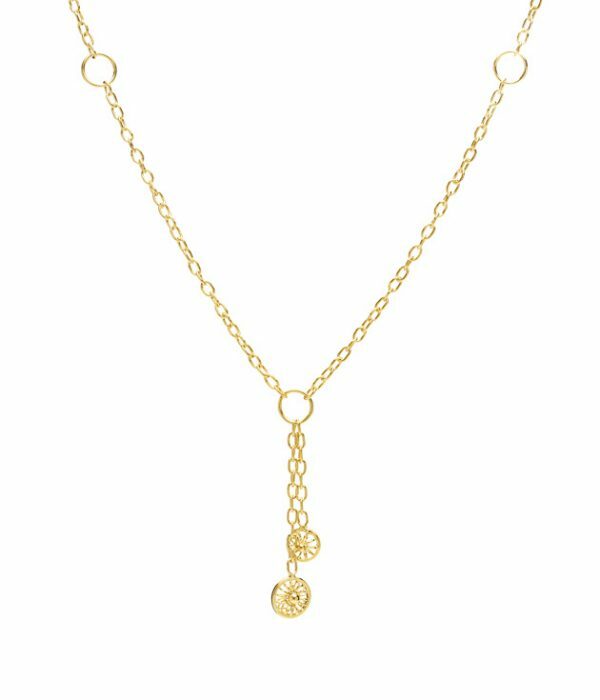 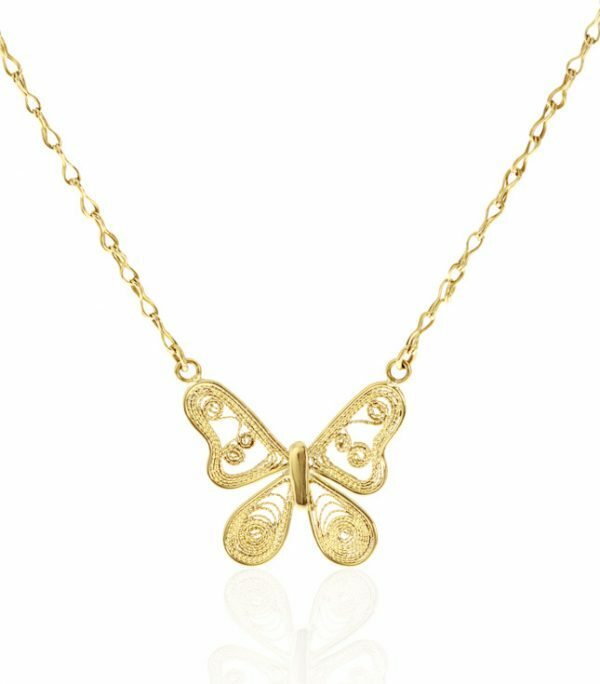 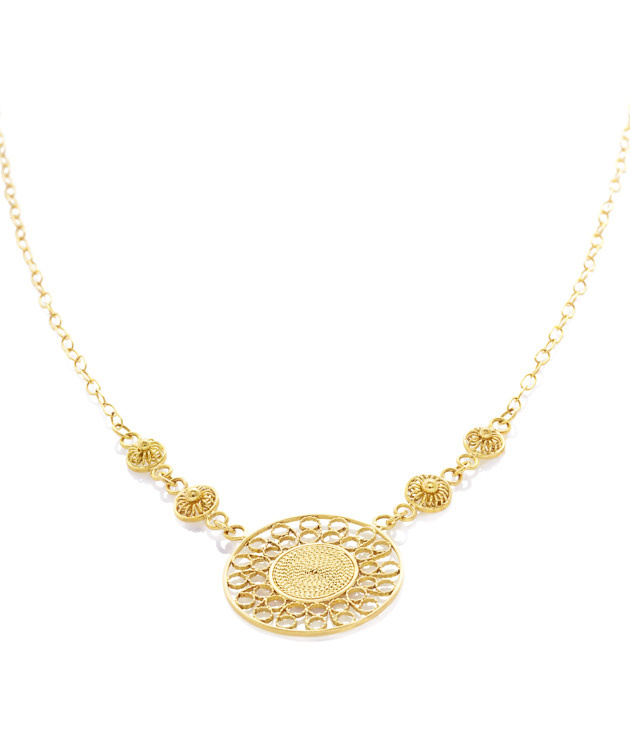 In salutation to the sun-god (Súa), this necklace echoes the Muiscan belief of gold’s divine power. To these pre-Columbian peoples, gold is a life source infused with the sun’s energy, radiating energy and wisdom. 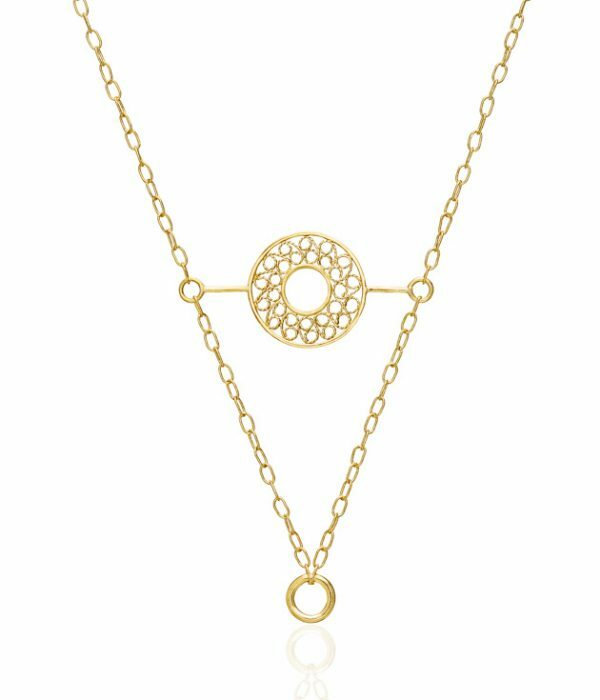 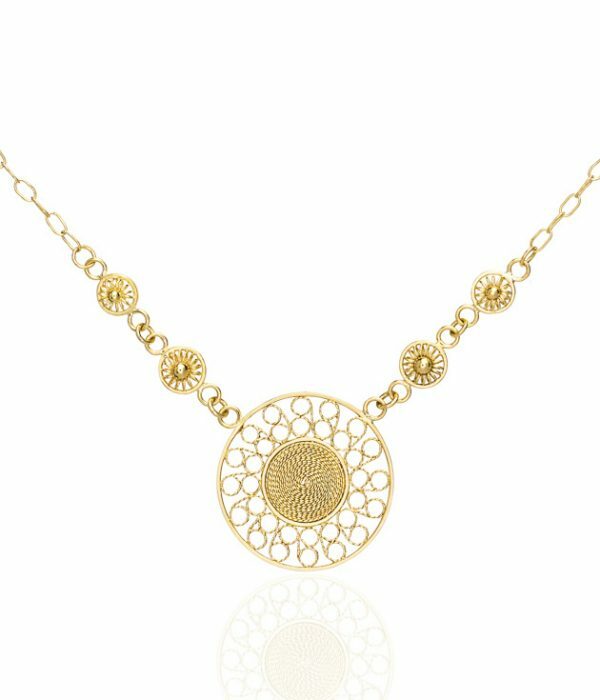 Inspired by this sacred meaning, the golden sun is represented in the central piece, supplemented by four adornments dotted along the handcrafted wheat chain. 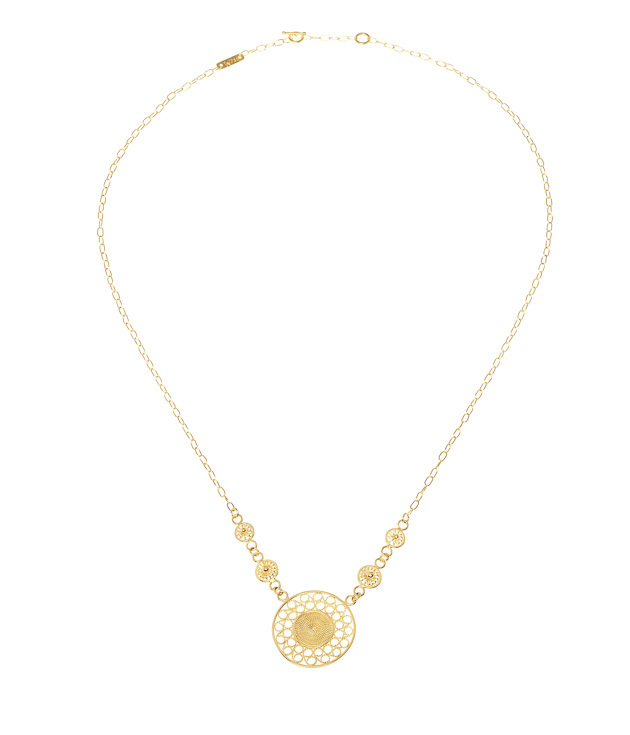 This radiant pendant pairs flawlessly with our Súa earrings.